I’ve been pondering a small mystery for months. I have finally resolved it. 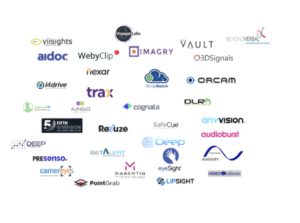 The mystery was this: “Where are all the Israeli deep learning startups?” Ten months ago I started putting together the Cognite Ventures list of the top worldwide deep learning startups. I drew on lots of existing lists of AI startup activity around the world, especially surveys published in the US, UK and China. I also systematically searched the on-line startup-funding tracking site, Crunchbase, to get systematic look at companies that self-report as AI startups. I filtered through thousands of startup descriptions and visited almost one thousand startup websites to get the basics of their product and technology strategy. I talked to colleagues who also track the AI explosion. Was it because Israeli startups were focused on other areas? Was it because startups were doing advanced AI, but weren’t publicly highlighting use of deep learning methods? Were the companies slipping through my search net? His analysis put the companies in eight major categories and a total of 39 sub categories. The scale of the list certainly suggests a great deal of general AI activity, and perhaps a lot of action in that most-interesting subset, deep learning. Over the past week, I have visited the websites of every single one of the 420+ companies on Singer’s chart. Using company mission statements, product descriptions, blogs, and job postings, plus additional information from Crunchbase and YouTube videos, I have worked to assess the product focus and technical reliance on hard-core deep learning methods of these companies – the same methodology for the entire “Cognite 300 Deep Learning Startup” list. Happily I have identified a significant number – 34 – to add to the Cognite List (see below). Of course, I recognize that the companies were slipping through my net because of lower press visibility in the US, less reporting on Crunchbase, smaller typical start-up size, all of which make these a little harder to see. This is an interesting, and I hope, important group of companies, with significant clusters in embedded vision for autonomous vehicles, human-machine interface and robotics, in cloud-based security and surveillance, in marketing, and in medical care. These companies have invested to understand the impact of neural networks on end markets and have built products that rely heavily on harnessing the combination of large data sets to training, and opportunity to extract hidden patterns from images, transactions, user clicks, sounds and other massive data streams. I suspect that companies that understand the implications of deep learning first will enjoy comparative advantages. OrCam Technologies builds smart glasses for the visually impaired that can recognize individual friends and family, read text out-loud and warn users of dangers. Vault predicts the financial success of film productions from deep analysis of scripts and casts. Augury uses vibration and ultrasonic sensors to monitor mechanical systems to get early warning of slight changes that signal developing malfunctions. Of course, deep learning is not the only form of “AI” that will legitimately contribute to market disruption and start-up traction. AI covers a lot of techniques, including other forms of statistical analysis and machine learning, natural language processing in chat-bots and other structured dialog systems, and other methods for finding and exploiting patterns in big data. For many companies their “less deep” learning is appropriate to their tasks and will lead them to success too. I suspect, though, that their success will often be driven by other factors – end market understanding, good UI integration, key business relationships – more than by AI technology mastery. While some of these strong areas tap into Israel’s historical tradition of technical innovation driven by defense needs, many are not clearly tied to vision and surveillance, wireless communication, signals intelligence or threat profiling. Instead they reflect the entrepreneurial drive to exploit huge global trends, especially in the rise of ecommerce and on-line marketing. You might ask why one analyst identifies 420 AI start-ups and another only 40. Daniel Singer clearly wanted to explore the full scope of “smart” startups in Israel. He used a very broad definition of AI, including companies as diverse as one doing “connected bottle caps” [Water.IO], another doing a job search tool [Workey], and a third, frighteningly, automatic web content composition from a few keywords [Articoolo].This expansive definition of AI in more inclusive, and reflects, in part, the enormous fascination among entrepreneurs, investors and the general public for all things related to AI. This broad definition subsumes many of the longer-term trends in big data analysis, ecommerce automation and predictive marketing. I have taken a more selective view. Much of the enthusiasm for AI in the past three years has been specifically triggered by the huge, well-publicized strides in just one subdomain of AI – neural networks. This has been particularly striking in areas like computer vision, automated language translation and automatic speech recognition, but also in the most complex and ambiguous tasks in business data analysis. I have chosen to focus on companies that appear to be at the cutting edge of neural networks, using the most sophisticated deep learning methods. I believe this will be the greatest area of disruption of existing products, companies and business models. So the broad view and the selective view are complementary, both giving windows into lively entrepreneurial climate in Israel. Previous PostDoes Vision Research Drive Deep Learning Startups?Next PostWhat does a $5 camera cost?